Two recent interviews apparently given by Israeli Defense Minister Ehud Barak provide evidence that the new wave of reports in the Israeli press about a possible Israeli attack on Iran is a means by which Prime Minister Benjamin Netanyahu and Barak hope to leverage a U.S. shift toward Israel's red lines on Iran's nuclear program. An interview given by a "senior official in Jerusalem" to Ynet News on Wednesday makes the first explicit linkage between the unilateral Israeli option and the objective of securing the agreement of President Barack Obama to the Israeli position that Iran must not be allowed to have a nuclear weapons "capability." In the Ynet News interview, the unnamed official is reported as explicitly offering a deal to the Obama administration: if Obama were to "toughen its stance" with regard to the Iranian nuclear program, Israel "may rule out a unilateral attack." Ynet News reporter Ron Ben Yishai writes that Obama "must repeat publicly (at the U.N. General Assembly, for instance), that the U.S. will not allow Iran to obtain nuclear weapons and that Israel has a right to defend itself, independently." But the official added a more far-reaching condition for dropping the option of a unilateral Israeli attack on Iran, according to Ben Yishai: Obama must also make it clear that his "red line" is no longer evidence of an intention to enrich to weapons-grade levels but the Israeli red line that Iran must not be allowed to have the enrichment capability to do so if Iran were to make the decision. In the context of that radical shift in the U.S. red line, the Netanyahu government would view the public statements demanded by the official as "a virtual commitment by the U.S. to act, militarily if needed," according to Ben Yishai. "The senior Israeli official estimated that should Washington accept the main demands, Israel would reconsider its unilateral measures and coordinate them with the U.S.," Ben Yishai writes. 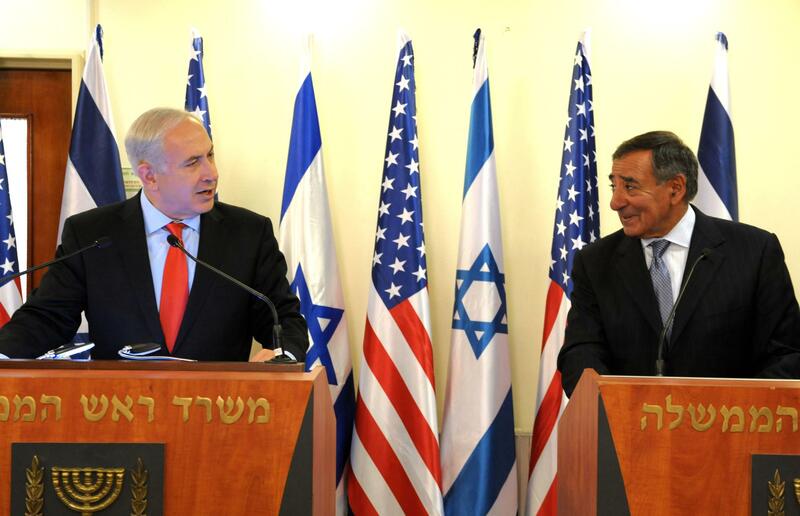 The interview indicates that what Netanyahu and Barak are seeking is a U.S. posture on Iran's nuclear program that Israel could use to maximize domestic pressure on Obama to attack Iran if he is reelected. That Israeli interest in leveraging the threat of a unilateral military option to change the U.S. public posture toward Iran is also suggested in an Aug. 10 interview by Haaretz with an official whom interviewer Ari Shavit calls "the decisionmaker." The unnamed senior official was described in a way that left little doubt that it was in fact Barak. The unnamed official explicitly linked the Netanyahu effort to keep the unilateral option in play with the need to influence U.S. policy. "If Israel forgoes the chance to act and it becomes clear that it no longer has the power to act," he said, "the likelihood of an American action will decrease." He also hinted at a debate within the Israeli government -- presumably between Netanyahu and Barak themselves -- over what could realistically be expected from the Obama administration on Iran. "So we cannot wait a year to find out who was right," said the official, "the one who said that the likelihood of an American action is high or the one who said the likelihood of an American action is low." That allusion to different assessments of U.S. action by the Obama administration suggests that Barak may have been arguing that the threat of a unilateral Israeli attack could be used to leverage a shift in U.S. declaratory policy short of an outright U.S. threat to attack Iran. Barak has generally characterized the policy of the Obama administration as tougher toward Iran than has Netanyahu, who has described it in perjorative terms. Invoking a "genuine built-in gap" between differing U.S. and Israeli "red lines," the senior official said, "Ostensibly the Americans could easily bridge this gap. They could say clearly that if by next spring the Iranians still have a nuclear program, they will destroy it." But he suggested that such a simple U.S. threat is not realistic. "Americans are not making this simple statement because countries don't make these kinds of statements to each other," said the official, adding, "The American president cannot commit now to a decision that he will or will not make six months from now." The implication was that someone else had been insisting on such an Obama commitment. The conditions for a deal outlined in the Ynet News interview may represent the more indirect stance Barak was hoping would be a more realistic possibility. But there is no reason to believe that Obama, who has resisted pressure from his own administration to shift his red line in the direction of Israel's position, would accept such a deal.